When it comes to Component Cooling Water Heat Exchangers (CCW) - American Exchanger Services, Inc. or simply AM-EX for short provides the expertise and experience to meet the most stringent of specifications. From Nuclear Component Cooling Water Heat Exchanger to Fossil Generation Component Cooling Water Heat Exchangers, AM-EX has over 30 years of experience in this equipment. AM-EX has CCW Heat Exchanger experience in a wide range of materials from admiralty, titanium, stainless, SEACURE, and various other. Contact AM-EX for your Component Cooling Water Heat Exchanger requirements. Inquire for a budgetary or firm request at Sales@amexservices.com. Component Cooling Water Heat Exchangers can also sometimes be called Bearing Cooling Water Heat Exchangers, Closed Cooling Water Heat Exchangers, or Secondary Plant Component Cooling Water Heat Exchangers. 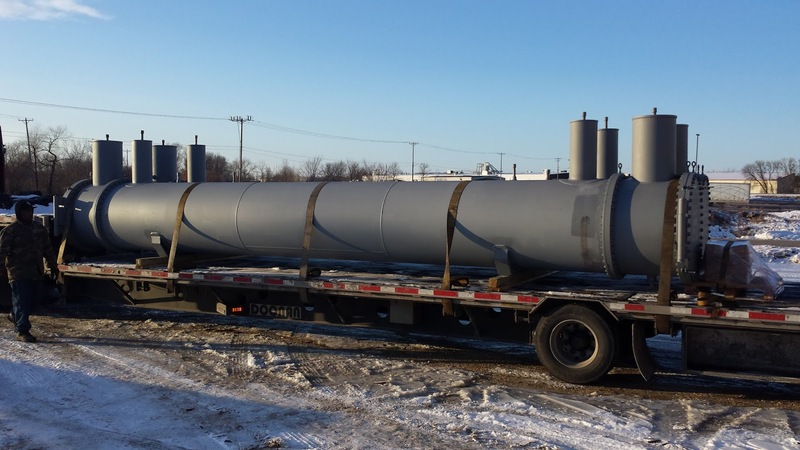 Consider AM-EX for your Nuclear or Fossil requirements for your CCW Heat Exchangers.